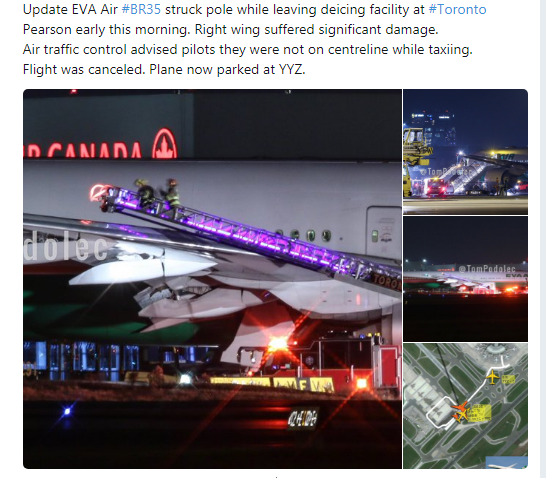 Update EVA Air #BR35 struck pole while leaving deicing facility at #Toronto Pearson early this morning. 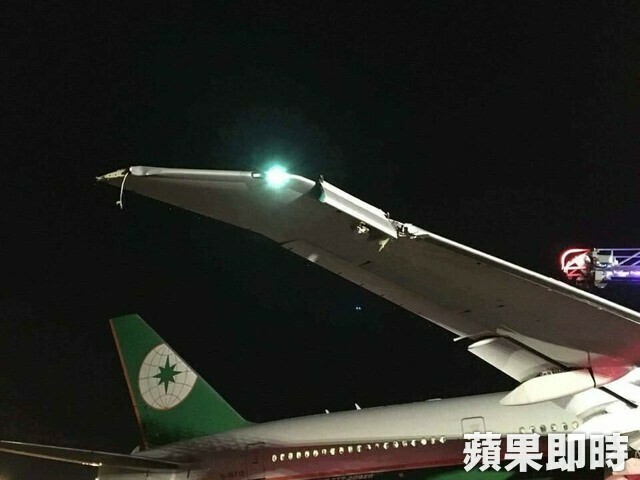 Right wing suffered significant damage. 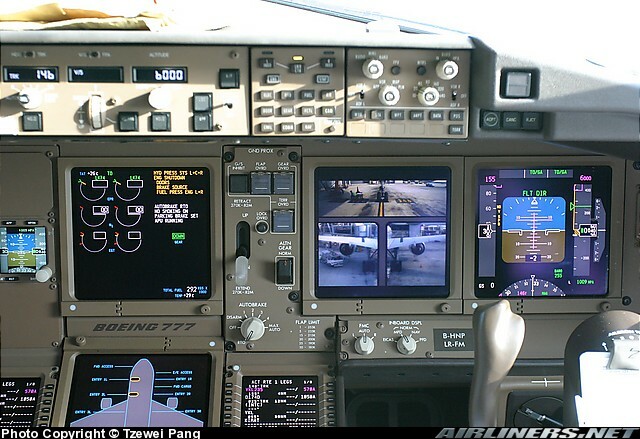 Air traffic control advised pilots they were not on centreline while taxiing. Flight was canceled. 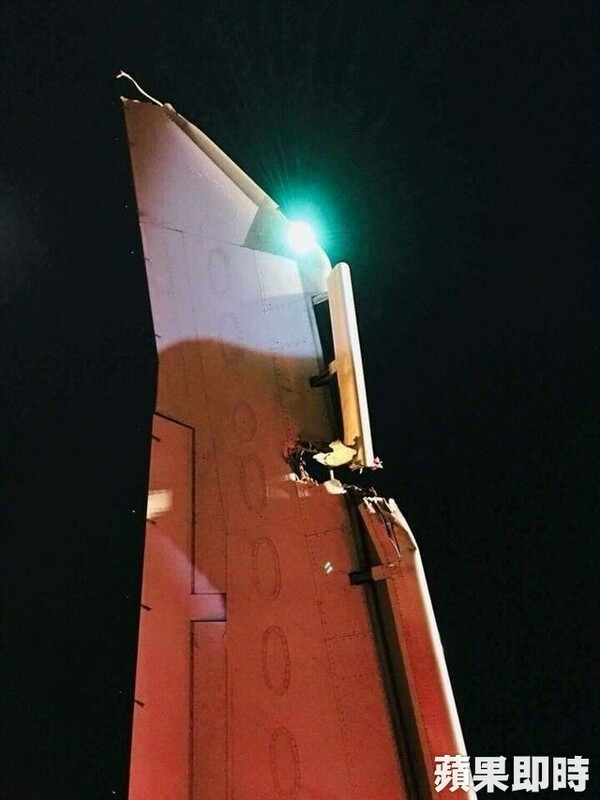 Plane now parked at YYZ.